I've always loved Siamese cats. Elegant, sleek, sociable, mischievous, loyal and intelligent, they combine the grace of panthers, the style of Vogue models, piercing cornflower-blue eyes and a Lassie-like devotion with extraordinary communication skills and, of course, those unforgettable voices. *Meezer. 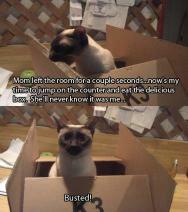 From Siamese ... m-e-e-z-e ... Meezer. I have my aunt to thank. But that's another story. I created this site because, like you, I once wanted answers to all these questions and more. 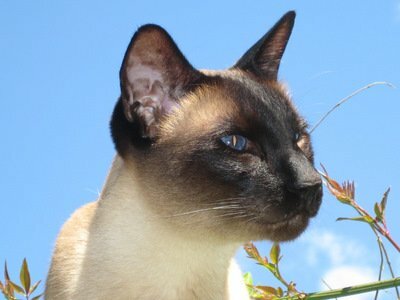 This website was inspired by and is dedicated to my Meezer Bandit (that's him just above), who graced my life for over ten years. He departed for the Rainbow Bridge in the summer of 2018 and although gone, is very much not forgotten. 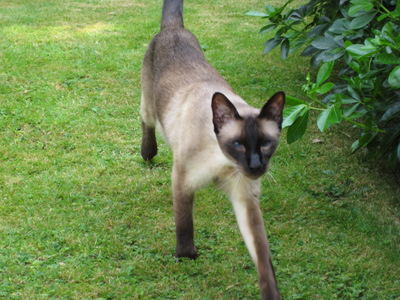 Find out about all the Siamese colors. What color is your cat? Stripy cats! Do you know what a Lynx or Tabby Point Siamese cat looks like? How much does keeping a cat cost? How do I clip my cat's claws? How do I take care of an older cat? Should I give my cat a bath? 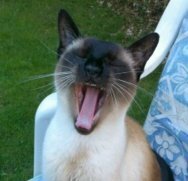 Read about all the Siamese cats who appear in books and films, find toys and games to play with your own cat, enjoy our readers' stories, pictures and videos, explore gifts for you and your cat-loving friends. There are various places here where you can submit stories about your own cats. 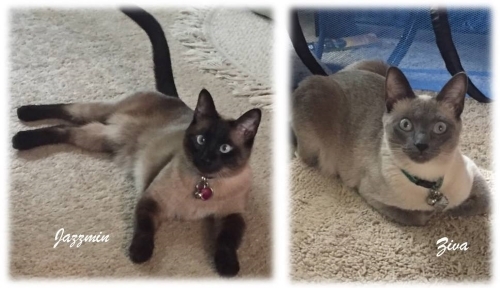 Siamese Photos and Stories is a good place to start if you'd like to share your own cat's antics and read other people's stories. You'll find Meezers from the USA, Canada, Mexico, South America, Europe, Russia, North Africa, Australia, New Zealand and Japan. A worldwide community of Siamese cats! We have a page over on Facebook, so click the Like button below and see us there. Post a photo or video, ask a question, join in the fun! Do come back and visit us here too. You'll always be welcome to browse. You can find links to new or updated pages in our What's New? section. 'Like' us to like us!